Special Containment Procedures: Foundation web crawlers are to monitor the communications of government officials worldwide, flagging sudden shifts in policy position for further review. If upon further investigation the official in question is found to have met with a known or suspected agent of the Manna Charitable Foundation within a short time frame of the opinion shift, Foundation agents are to administer the official Class-A or Class-B amnestics depending on the length of time since suspected exposure.1 Private and public statements contrary to previous views are to be suppressed or discredited when applicable. The Memetics division has been instructed to develop an easily distributed inoculation to SCP-3051's effects. Research towards this goal is ongoing. Description: SCP-3051 is a weaponized cognitohazard employed by the Manna Charitable Foundation to induce artificial personality changes in government officials opposed to their humanitarian agenda. The transmission vector is known to be contained on paper, though whether the vector is text or an image is presently unknown. When exposed to SCP-3051, affected individuals abruptly shift their views on one or more issues. In contrast to standard changes of opinion, SCP-3051 events are marked by the sudden and unexplained acceptance of policies diametrically opposed to previous views. Affected subjects will rapidly become in favor of increases in foreign aid spending, egalitarian governance philosophies, compliance with international human rights norms, and various other viewpoints associated with humanitarian or socially liberal ideologies. In close proximity to nearly all suspected SCP-3051 events, subjects met with one or more lobbyists representing a non government organization (NGO). Further investigation determined that these individuals were in actuality lobbyists for the Manna Charitable Foundation, who were using non-anomalous charities as cover to contact government officials whose opinions they wished to sway. As these agents are able to disguise themselves as civilian lobbyists using anomalous means, direct prevention of access has proven difficult. Incident 3051-01: On ██/██/2017, Foundation personnel investigating SCP-████ inadvertently discovered an in-progress SCP-3051 event in the Rayburn House Office Building. The Manna lobbyist, later identified as Senior External Relations Director Adotei █████, was taken into custody alongside an active vector of SCP-3051. █████ was released 48 hours later as per the terms of the 1995 Kigali Accord between Manna and the Foundation. Interviewed: Adotei █████, designated POI-5442 for the purposes of this interview. Agent Dietz: Hello Mr. █████. My name is Agent Dietz and I'd like to ask you a few questions regarding your meeting with Representative ██████. POI-5442: Feel free to ask, though I can't promise I'll actually answer. I know my rights. Agent Dietz: I'll cut directly to the chase then. The cognitohazard: What is it, how does it work, and why would Manna make use of that kind of weapon? It doesn't exactly fit your profile. POI-5442: I decline to answer. Agent Dietz: Don't play games with me. You're effectively brainwashing government officials. How exactly does that mesh with your Mother Theresa act? Subject begins to laugh for several seconds. POI-5442: Is that what you think we're doing? Turning people into puppets with magic compulsion? We're a human rights NGO, not a bad horror film. Agent Dietz: Chuckle all you want, but we're well aware you're using a cognitohazard. If it isn't a compulsion agent then just what is it you're using on these people? POI-5442: You know, I've done this sort of thing a long time. In our business, no matter what we do behind the scenes, the actions of people and governments in the public eye always wind up affecting more lives in the end. I used to meet with so many privileged, apathetic officials and watch as they ruined lives. I always believed that if they could only see the consequences of their choices, the world might be a better place. Agent Dietz: The point being? Closing Statement: Subject refused to answer any further questions and was later transferred to Manna custody without incident. 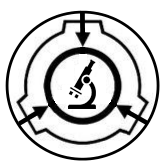 Findings: Following acquisition of an active vector of SCP-3051, the sample was provided to the Memetics and Infohazards division for study. Dr. Ekshun has prepared the following report on progress towards a memetic inoculation against SCP-3051. Well, this one has been a doozy. For starters, its potency has made it difficult to work with. We've had seven different researchers break down, two of which tried to free the Site's stock of D-class. Thank Christ for amnestics. Once we managed to examine it safely, it only got more interesting. The vast majority of cognitohazards work by altering perception, with most of the remainder acting as some type of summoning for an anomalous entity. As far as we can tell, this one just adds information to a person's brain, no perception changes at all. This is the sort of thing you usually see in a memetic hazard, but the added information itself isn't anomalous and can't act as a spread vector for itself. Off the top of my head, the only other coghaz we've dealt with that has a similar effect is SCP-3600, but the mechanics of that one are completely different. I can say with high certainty that this wasn't something Manna developed in house. I've seen the pain relieving cognitohazards they use in war zones, and the subliminal matrix on SCP-3051 is eons more complicated. Normally, MC&D would be my first guess for a purchased hazard, but this is well beyond them as well. Even for us, reverse engineering it to make an inoculation will be difficult. If this were the only project we were working on it would probably be done in a few months. Seeing as we're swamped, I estimate it'll be 2 years minimum before we have a counter meme ready. The really impressive bit is that, from what I can tell, the ultimate source of the info isn't the anomaly itself. We did a few lab tests to confirm, and it appears SCP-3051 actually takes present, accurate information from other living humans and puts it into the mind of the subject exposed to it. Bottom line is that whatever these people wind up learning is causing the personality changes, rather than any cognitive influence from the anomaly itself. And honestly, that scares me way more than your run of the mill compulsion coghaz ever could. P.S. Attached is an image of the vector that should be safe to view. We've taken out some physical details, removed important chunks of the subliminal matrix, and made the image greyscale. That said, I wouldn't view it without a cognitive resistance score of at least a 2.0. Better safe than screwed. 1. Specifically, class-B amnestics are effective within 3 days of exposure while class-A amnestics have proven able to reverse effects within 10 days.